Join us on the upcoming Big Walks! 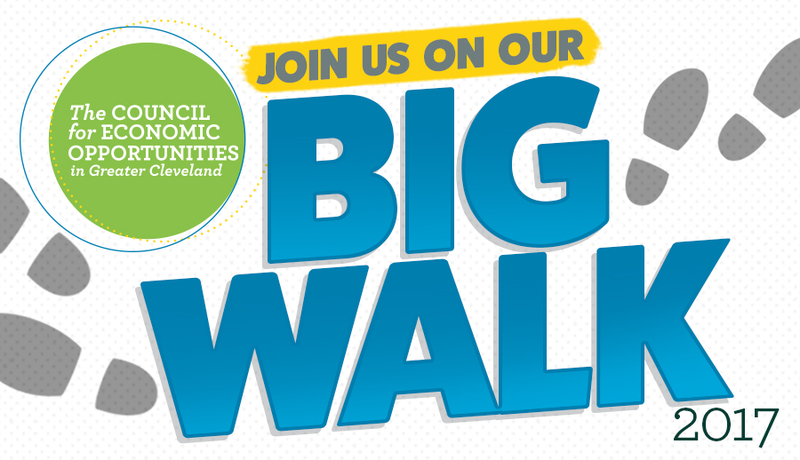 The Council for Economic Opportunities’ Big Walks are coming up! Staff will be in YOUR neighborhood, talking about Head Start, helping you enroll your child and promoting upcoming workshops and events. The annual Big Walks allow people in the Greater Cleveland area to learn more about the Council for Economic Opportunities and the programs offered. It also serves as a chance to learn more about our high-quality Head Start centers and enroll your child. Find out when we’ll be in your area! We’re visiting Downtown, the East side, the West side and the Southeast region. We will see you in June!